Today I will start off with a bit of a puzzle. 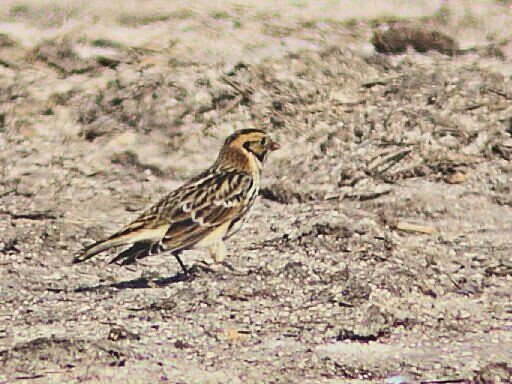 Can you find the Lapland Longspur? I was following a Horned Lark amid the stubble of a cornfield with my camera viewfinder and got a few poor shots when it seemed to disappear. I took a couple more photos, not realizing that it had flown off. Back home, looking at this image on the computer, I was ready to discard it as an “empty” frame, but suddenly a different bird caught my eye. Can you find it? Don’t cheat– look at each photo in turn! Where’s Waldo? (Click on the image and right-click for larger sizes up to the original, and a few hints.). Here was the shot taken just before the one above, with a different white balance adjustment. This time I will give you a hint. Look in the very center of the photo. OK, here is an enlarged and greatly enhanced crop from the photo just above. 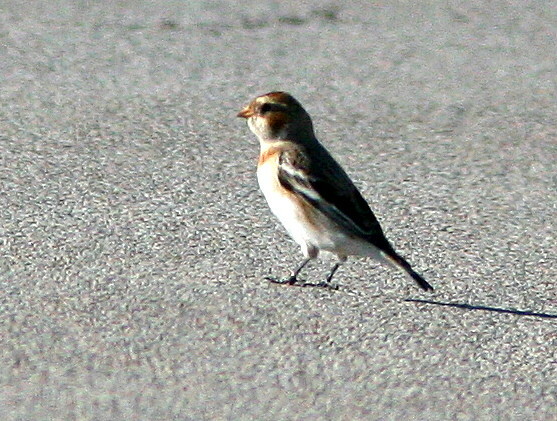 Our reason for setting out along this lonely farm road to patrol the corn fields was that exactly two years previously, and at the same spot, I first photographed this Snow Bunting as well as several Lapland Longspurs. 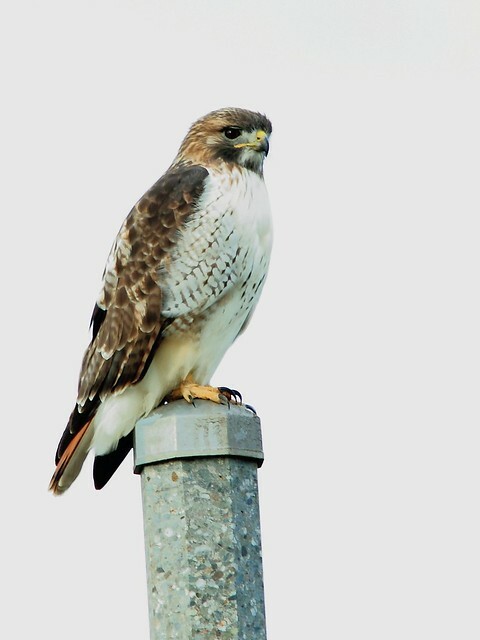 On our way out to the fields, which are about 3 miles west of our NE Illinois condo, we encountered a Red-tailed Hawk on a light post. The hawk flew to roost in a nearby tree. 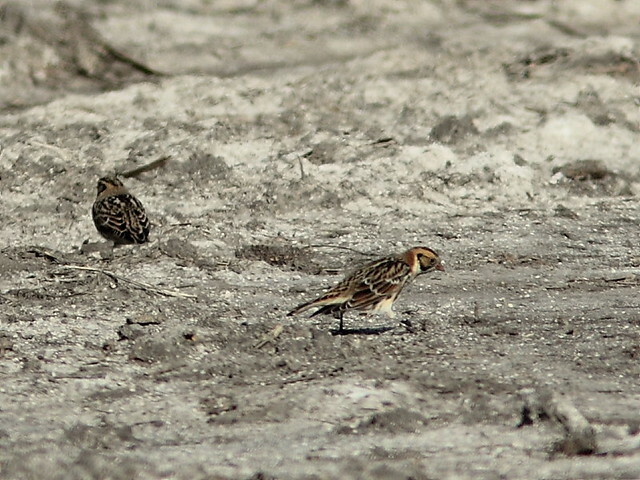 This time the Lapland Longspurs were far out in the cornfield. It was windy and below freezing, and bright mid-morning light created deep shadows. Not using the flash attachment, I failed to obtain any decent images of the longspurs. These two were about the best I could manage. None of my Horned Lark photos turned out very well. We had to leave in a hurry as a storm approached from the west. 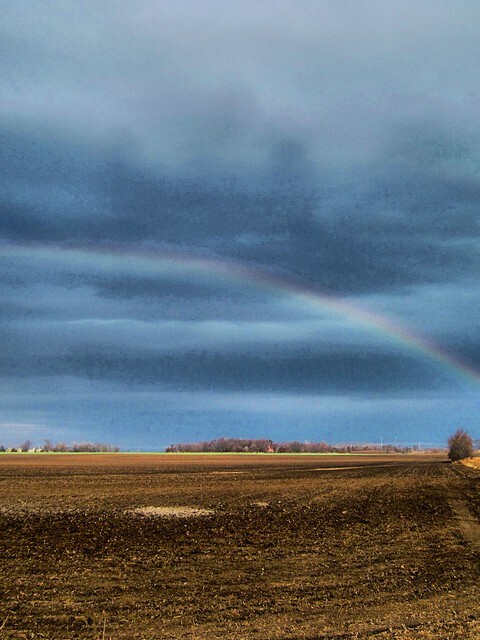 It first produced a rainbow over the fields. I think I lost my lens cap in the rush back to the car. Then came the thunder. Heavy winds and hail hit just as we arrived back home. 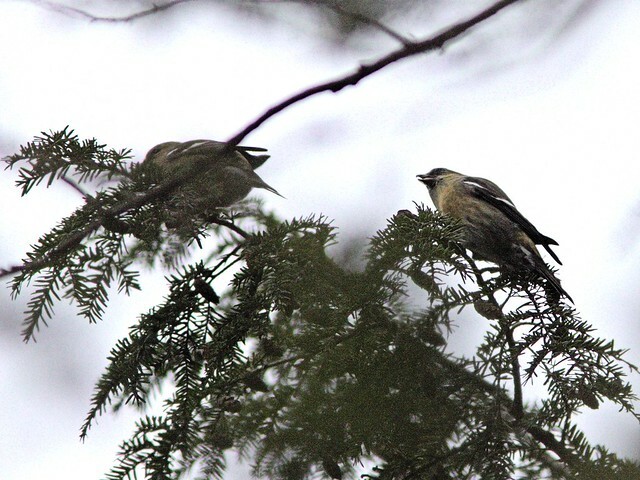 The day earlier we visited Morton Arboretum in search of crossbills that had been reported there. We found them high in the conifers, but the dark and dreary skies and distance produced soft images. 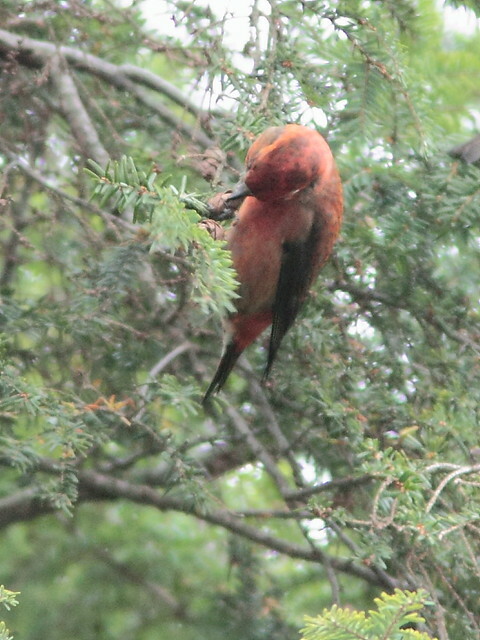 Most of the flock of 25 or so consisted of Red Crossbills. They extracted seeds from the cones with their specialized bills and tongues. 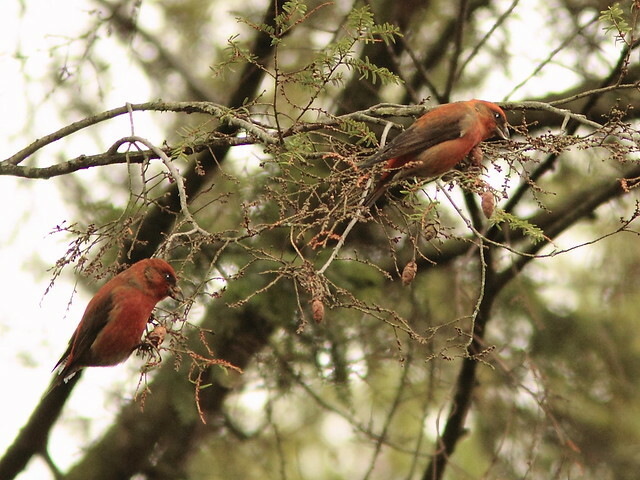 Among them were a few White-winged Crossbills. I had seen this species previously in Santa Fe, New Mexico, but this was my first photo opportunity. My poor images simply serve to document the event. I must return! 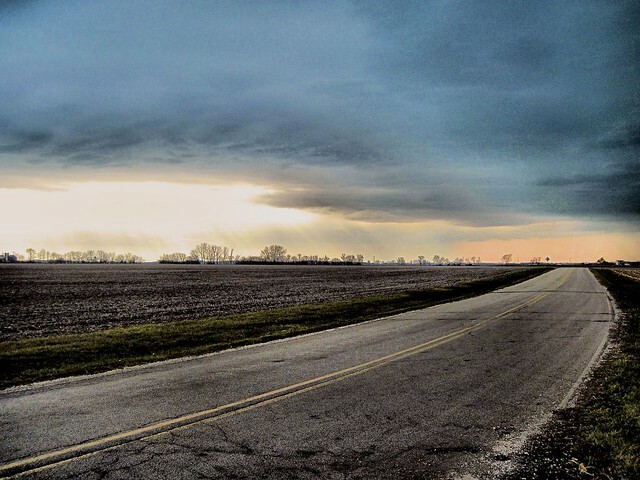 November 11th, 2012 at 8:18 am You captured some real beauties here. I enjoyed them all. November 12th, 2012 at 8:59 am Great collection of birds, I would love to see them all, the Longspurs and the Red and White-winged Crossbills. I enjoyed your post and photos. November 12th, 2012 at 11:16 am ken You seem to have “gripped” me there, Lapland Buntings and Snow Buntingsa are now so scarce here in NW England that I never get to see them never mind get pictures like yours. 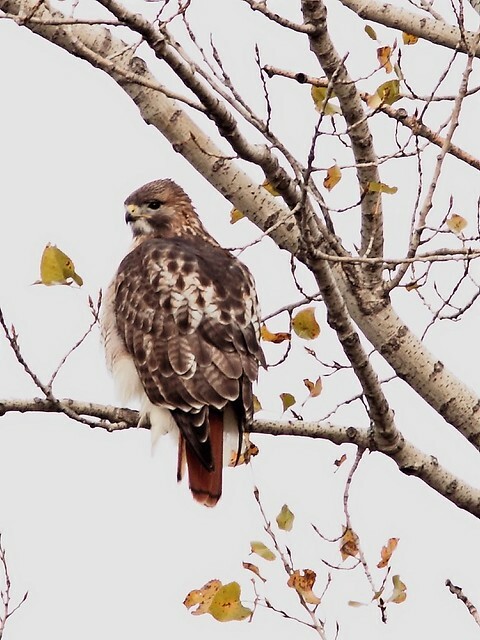 The Red-tailed Hawk is a stunner by the way. I thought it was only here in the UK we got weird and wonderful weather but looks like you have all had your share lately over there. November 12th, 2012 at 3:22 pm Wow! 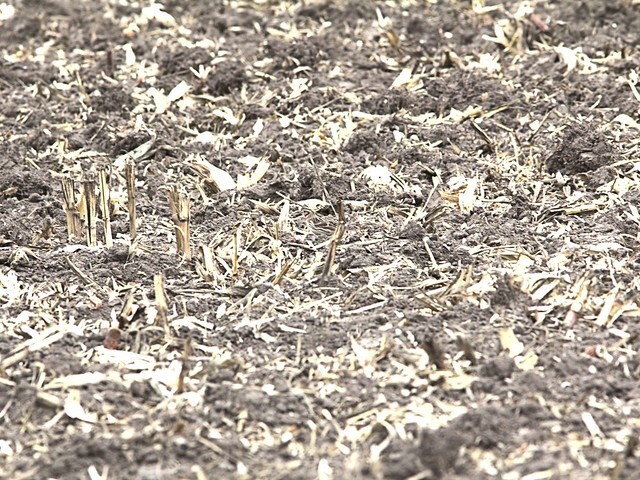 Those longspurs are perfectly camouflaged. 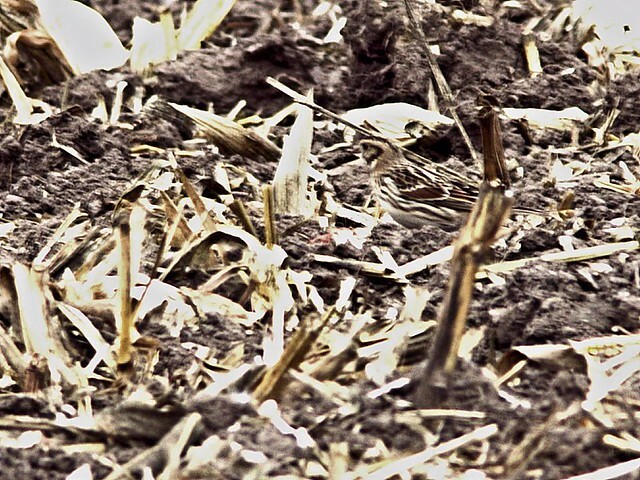 November 12th, 2012 at 6:41 pm Great shots and I have to admit I couldn’t find the bird for a while! 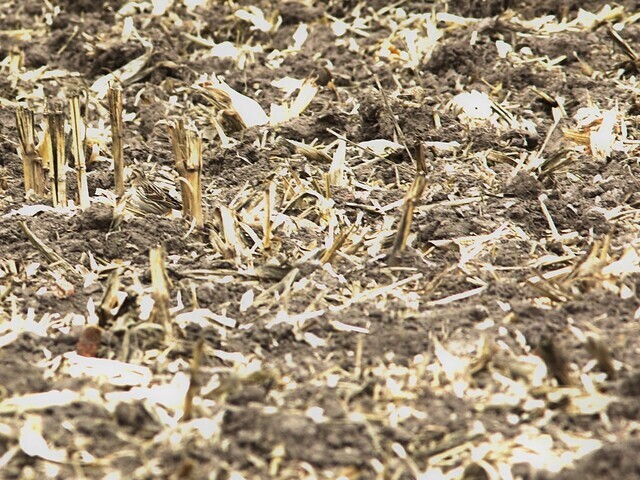 November 13th, 2012 at 11:36 pm That bird is very well hidden among the corn stalks. The rainbow and storm cloud are beautiful. November 14th, 2012 at 11:01 am Terrific lesson in how wildlife can blend with their environment. All great images! Beautiful hawk. 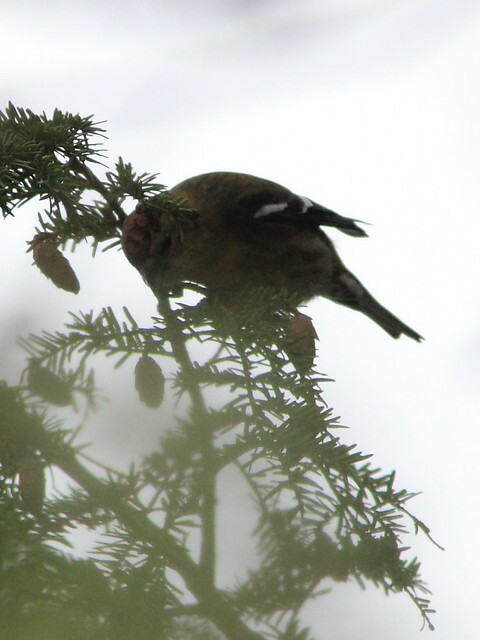 Still hoping to see crossbills and longspurs one day. November 14th, 2012 at 5:01 pm I enjoyed all of these, but those 2 R-T Hawk images are awesome! November 21st, 2012 at 2:56 pm Thanks to everyone for stopping by and commenting. I enjoyed visiting all your blogs!